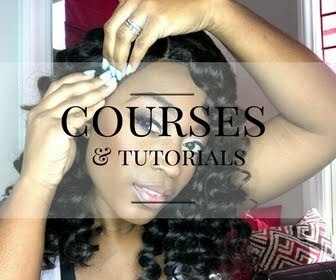 Try an online hair tutorial from LaToya! 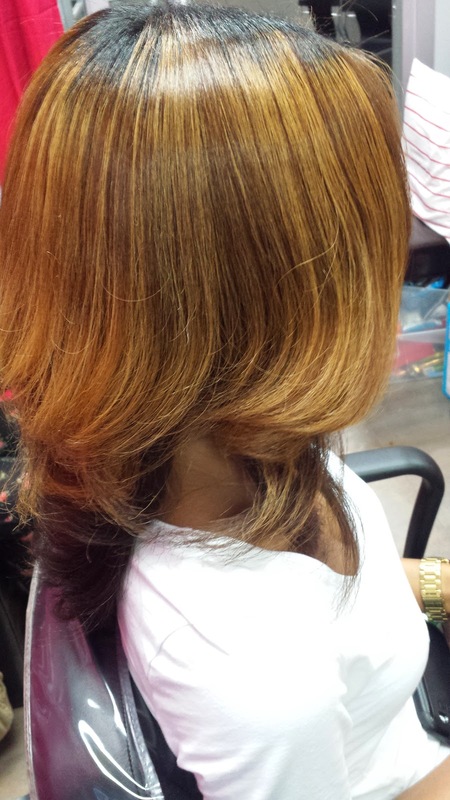 This is a silk press that was done on relaxer free hair. Notice I did not say "natural" hair simply because she does have a chemical in her hair, but instead of a relaxer that chemical is in the permanent hair color. 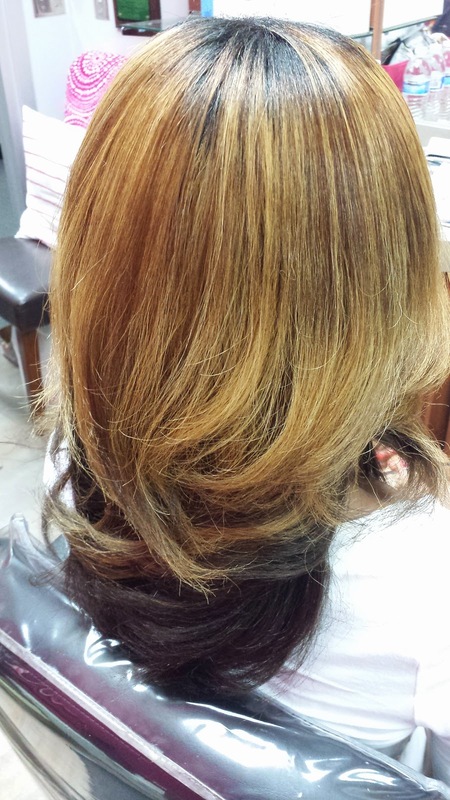 I always advice my clients to pick one chemical, either color OR relaxer. Having both can very easily lead to damage and breakage. 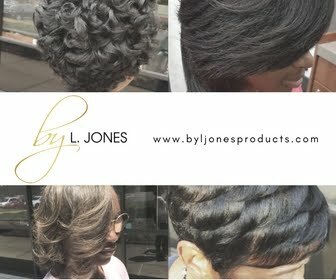 To begin, I prepped the hair with Silk Hydration by L. Jones products. For those of you who may be new to this blog, I have my own line of products that I make myself at home. I use them on my clients as well as on myself and have enjoyed the results that I get from the products. 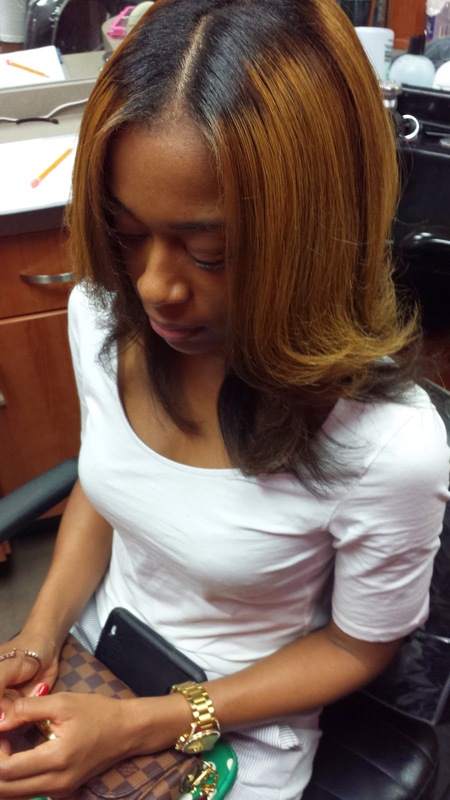 On this client I used the clarifying shampoo to remove all of the dirt, oil, and any residue on the hair. Next, I used the moisture shampoo to add the good moisture back in. Then I put some of the daily conditioner on for a few minutes before rinsing. I call it "daily" conditioner because it is light enough to use everyday if you needed to without leaving a lot of build up on the hair. After that, I followed up with the leave-in conditioner and was very generous with it. 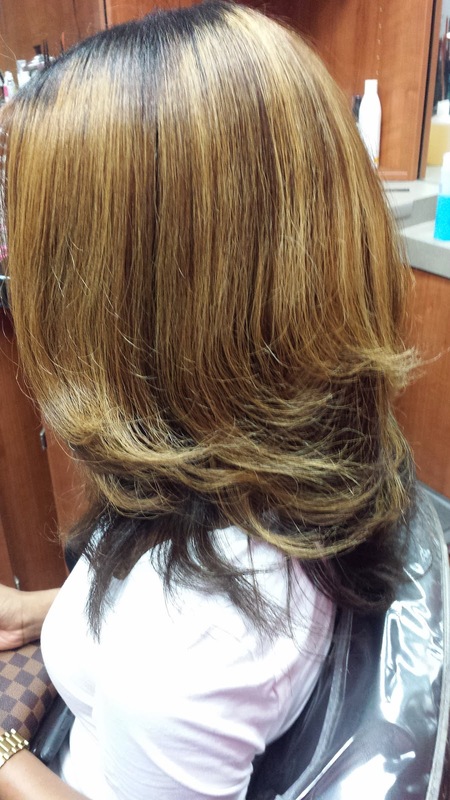 The leave-in helps detangle and it also adds moisture and provides a layer of protection from the heat. After the hair was prepped I then began to detangle the hair and blow dry. 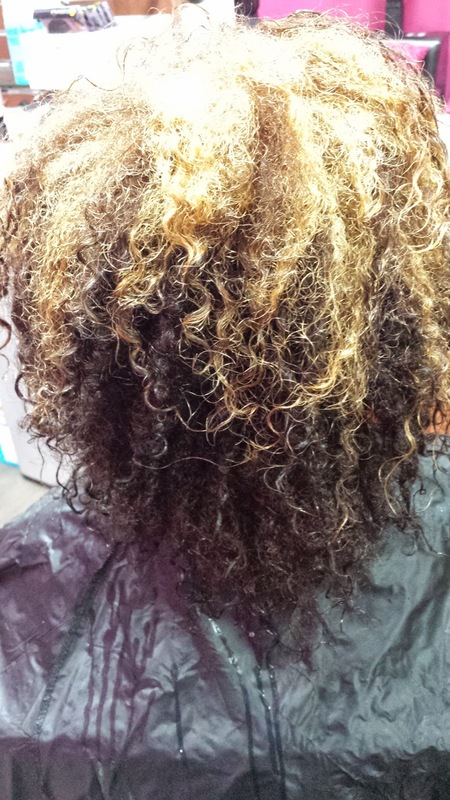 Although this client has very curly hair, it was very easy to detangle, especially when I put the leave-in conditioner on. I blew it dry completely and added a very small dime-sized amount of oil. I then began to flat iron it into its layered shape. Once I was done I sprayed it with Silk Hydration by L. Jones Miracle Potion no.9 which controls frizz and add shine while making it smell amazingly wonderful. To maintain this style she can wrap it and put her satin scarf on. No sleeping cute required! Her silk press will remain straight until she wets it again to shampoo it (approximately 1-2 weeks). Her hair is really pretty! Welcome to the blog and thank you for stopping by! 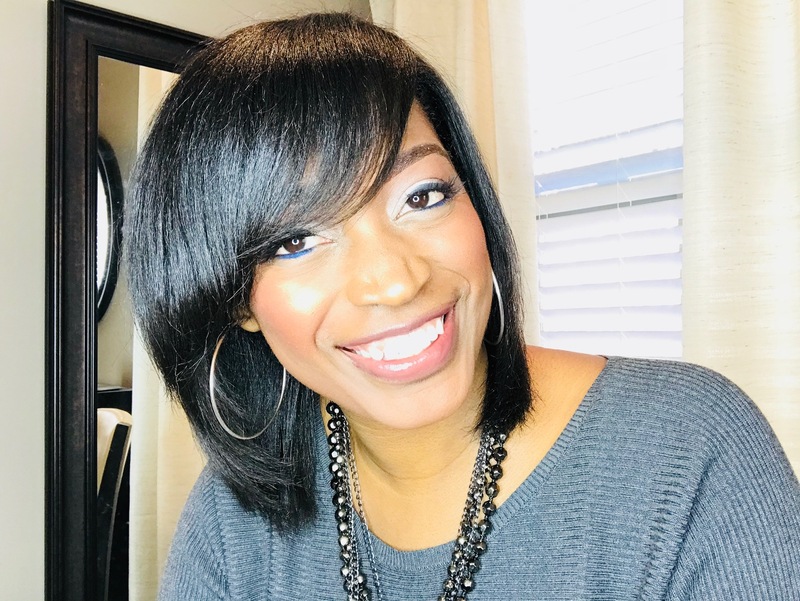 As a professional hairstylist and salon owner, I want to share my knowledge about hair with women who may not be able to get to the salon or to anyone who just wants to know more about their hair in general. I feel that every woman should be able to have great hair whether you can get to the salon or not! If you like what you read, please do not hesitate to subscribe to the blog. Can I Get A Silk Press Safely Right After Taking Braids Down? 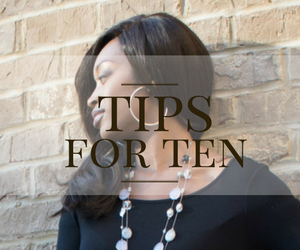 Get customized hair tips from the healthy hair pro herself, Toya, only $10 each!